Works with serwem Tower Pro SG5010. Set plastic wheels (2 PCs.) with rubber tyres, providing a high adhesion. Suitable for engines with transmissions Pololu. Servo of standard type, double bearing. Speed: 0.16 s /60 ° . Torque: 6.5 kg. Dimensions: 40 x 20 x 41 mm. Weight: 48 g.
The set includes a pair of Pololu wheels (2 pieces) size 42 x 19 mm. 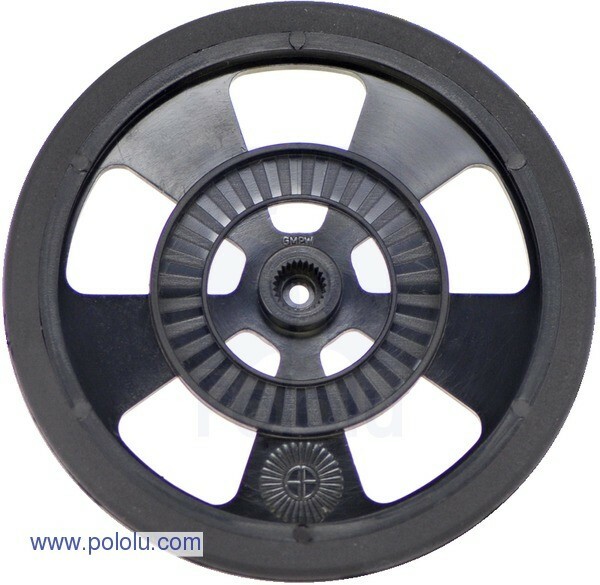 Pololu 42x19mm Wheels - 2pcs.